Herring fillets in a well-seasoned mustard cream sauce. 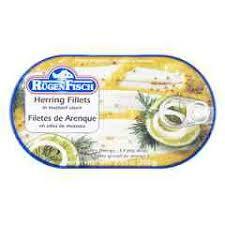 Shelf stable herring fillets in a well-seasoned mustard cream sauce. 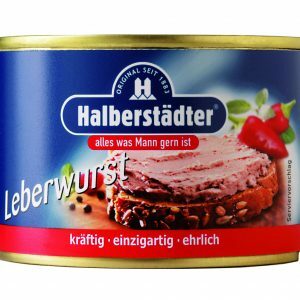 The highest quality herring. Sourced through sustainable fishing, MSC certified. 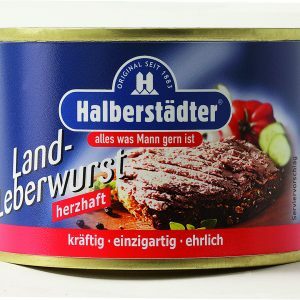 Ready to eat straight out of the can, add to a salad, or create several delicious meals. 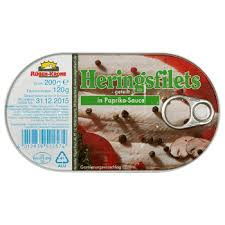 Herring fillets – Clupea harengus (60%), water, mustard /water, mustard seeds, distilled vinegar, table salt, spices (10%), rapeseed oil. Sugar, thickeners: guar gum, carob gum; starch, distilled vinegar, flavouring, table salt, tomato purée, skimmed-milk powder.